It was just a normal holiday luncheon for the employees of a Michigan company until its owner made a surprisingly happy and welcome announcement- that he is giving away $4 million as a holiday bonus to be shared among full-time employees. The promised money would be dispersed among employees based on tenure with the company. Some employees were left stunned by the announcement, that some were even in tears. Some said they couldn’t believe their owner’s generosity, but we're grateful for the blessings that came their way this Yuletide season. Employees with more than 40 years of service in the company got the top gifts and bonus that exceeded $60,000. 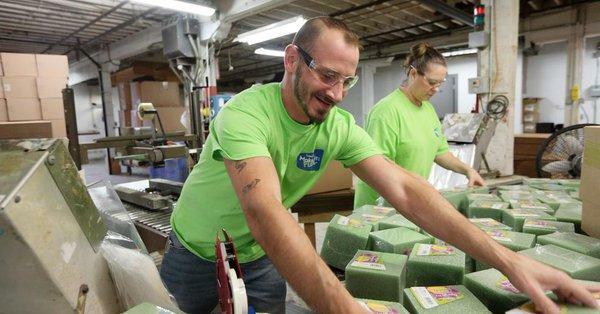 FloraCraft is a family-owned company known for making foam products for the craft and floral industries. The owner also stressed that the employees’ energy, passion, and loyalty inspire him every day. The holiday cheer brought by the bonus announcement by FloraCraft to its loyal employees are also being felt and celebrated by other people online. WOW!! I thought these days were long gone! Good for him and wonderful for the employees! If workers are kept poor who will buy your products ?